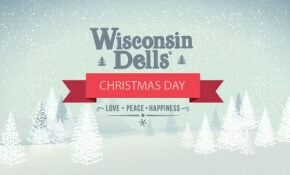 There is nothing better than being with your family and celebrating the holidays in Wisconsin Dells. Make your reservation for a family getaway. 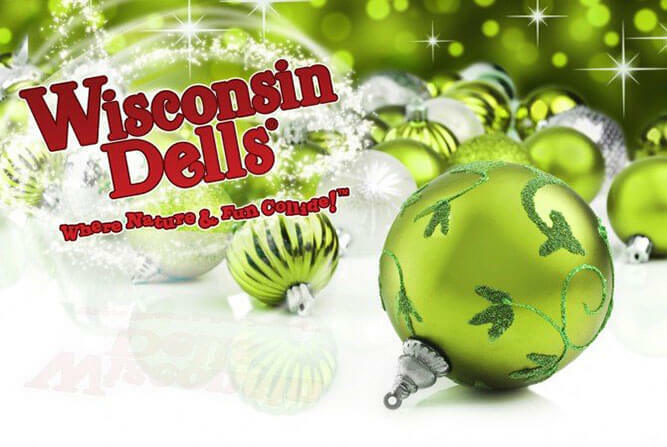 Since there is snow in the forecast, this is a perfect time to check out what is going on in the Dells for the holiday season. Santa is going to be at the New Frontier Lobby of the Wilderness Resort for weekends in December, and then the 23rd. 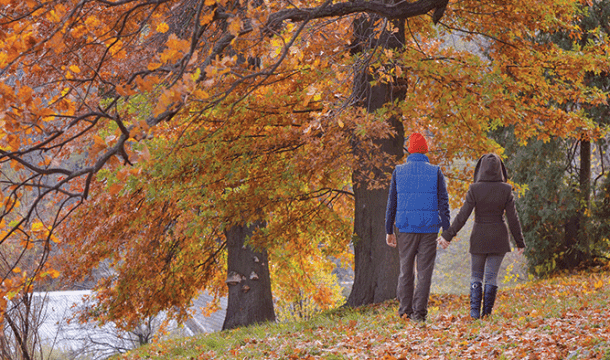 Bring your camera to capture those Kodak moments. There is no cost to visit Santa, and he’ll be taking pictures from 9 a.m. – 11 a.m. Also, parents can arrange to have an elf come to their room to deliver a little gift for their children. Parents need to arrange it ahead of time and there is a cost involved but it is great fun! They just need to give the Resort a call 48 hours in advance (608-253-9729 ext. 4552 ) to arrange the details. Wilderness Resort is located at 511 East Adams Street, Wisconsin Dells, WI. Outlets at the Dells is featuring photos with Santa. This will take place at the Christmas Tree by the main entrance on December 1st-3rd, 8th-10th, and 14th-23rd from 11am-7pm, and December 24th from 10am-4pm. Every child who visits Santa gets a gift to take home as well! Outlets at the Dells is located at 210 North Gasser Road, Wisconsin Dells, WI. Call (608) 253-5380 for more information. Until December 29th, catch Christmas at the Palace, complete with dancing elves, dancing toys, Mr. & Mrs. Claus, and the only Live Nativity on stage in the Midwest. The Palace Theater is proud to be working with the Habitat for Humanity Retail Store for some of the props and furniture pieces that are used in this musical. On weekends in December, you can visit with Santa and enjoy complimentary cookies & milk at Mt. Olympus Resort. Tell him what’s on your wish list and experience something special this holiday season! On December 19th, the Oak Ridge Boys are back for the annual Christmas Show at the Crystal Grand. The show will be held at 8 p.m. The Crystal Grand Music Theatre is located at 430 Munroe Street, Wisconsin Dells, WI. For more information, please call (877) 987-6487. Kalahari Resort is having their annual holiday buffet on December 25 from 4:00 p.m. to 7:00 p.m. Turkey, Prime Rib, & Ham are just a few items from this delicious dinner menu. Making reservations is strongly encouraged; please call (608) 254-3217. Kalahari Resort is located at 1305 Kalahari Drive, Wisconsin Dells, WI. Other activities include ice-skating at the Poppy Waterman Arena and skiing or snowboarding at the snow hills in the area. Cascade Mountain will be open every day of the week starting in mid-December, weather permitting, and Christmas Mountain has a few runs open as well. Call Cascade Mountain for the latest conditions at (800) 992-2754 and Christmas Mountain at (608) 253-1000. 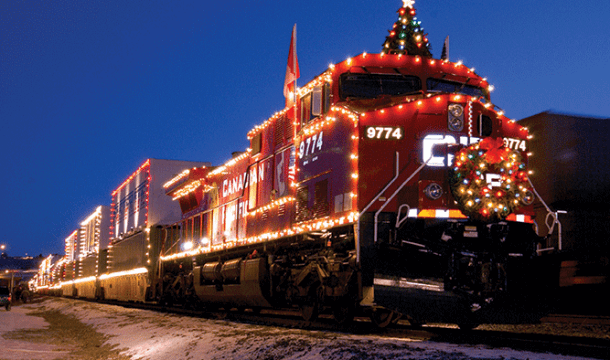 Canadian Pacific Holiday Train to Stop in the Dells!